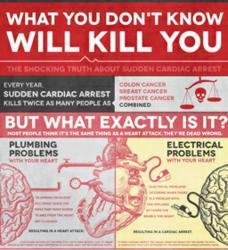 Sudden Cardiac Arrest is one of the nation's leading causes of death. Michael Clarke Duncan is kept alive by his girlfriend's CPR efforts before emergency medical services could arrive. AED.com explains the disease that kills so many of its victims. Effective bystander CPR provided immediately after sudden cardiac arrest can double or triple a victim’s chance of survival. Michael Clarke Duncan, The well known actor in The Green Mile recently suffered a sudden cardiac arrest event. He is 54 years old. According to TMZ, Omarosa, who is most know from the popular TV show The Apprentice, called 911 immediately after she discovered him collapsed at 2 a.m.
Before the ambulance was able to arrive, Omarosa performed CPR. According to the American Heart Association, “Effective bystander CPR provided immediately after sudden cardiac arrest can double or triple a victim’s chance of survival. “ After Paramedics arrived on the scene they took him to a local hospital. As of right now Duncan is reported to be in stable condition due to the swift thinking and action of his girlfriend. It has not been reported whether the use of an AED defibrillator was used onsite to help resuscitate Michael Duncan. E! Online reports that doctors say Duncan suffered a myocardial infarction. A myocardial infarction is more commonly known as a heart attack. This happens when the blood supply to the heart is blocked, which usually leads to cardiac arrest. Unfortunately in recent news, many seemingly healthy celebrities have also suffered from sudden cardiac arrest, including professional soccer player Fabrice Muamba and Norwegian swimmer Alexander Dale Oen. In Oen’s case, CPR was not performed fast enough before his death. According to the American Heart Association, for every minute that passes without CPR and defibrillation, however, the chances of survival decrease by 7–10%. To help spread CPR and AED awareness, AED.com has created an infographic to help dispel some of the common myths about heart attacks and sudden cardiac arrest. Although CPR was most likely the deciding factor in the current stable condition of Michael Clarke Duncan, administering the use of an AED within the first 5 minutes of sudden cardiac arrest can greatly increase the chance of survival. 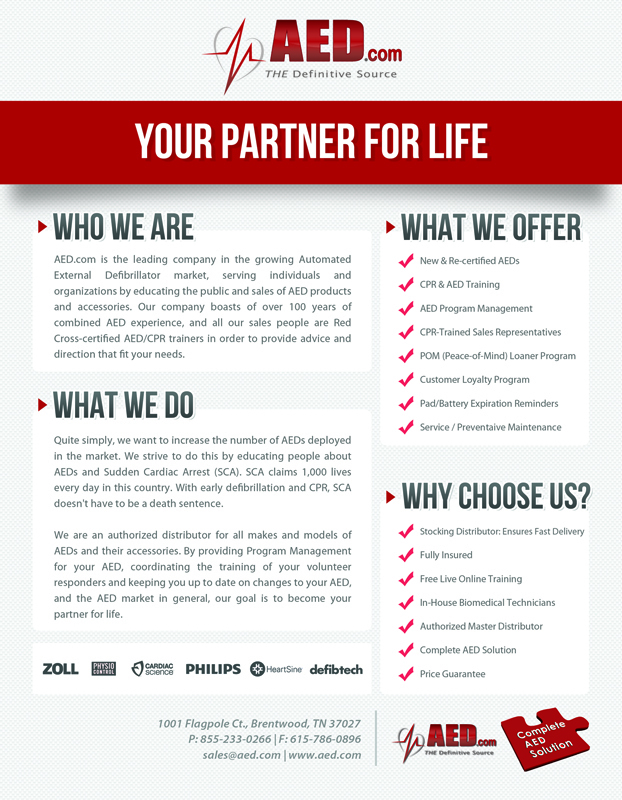 AED.com is a company based out of Brentwood, TN. It serves all 50 states and has over 20,000 customers worldwide.